Casinos make a profit by offering games of chance where the average payouts are lower than the income produced by the overall wagers. Exactly how this is accomplished and the terms used in producing casino records and income are explained below. 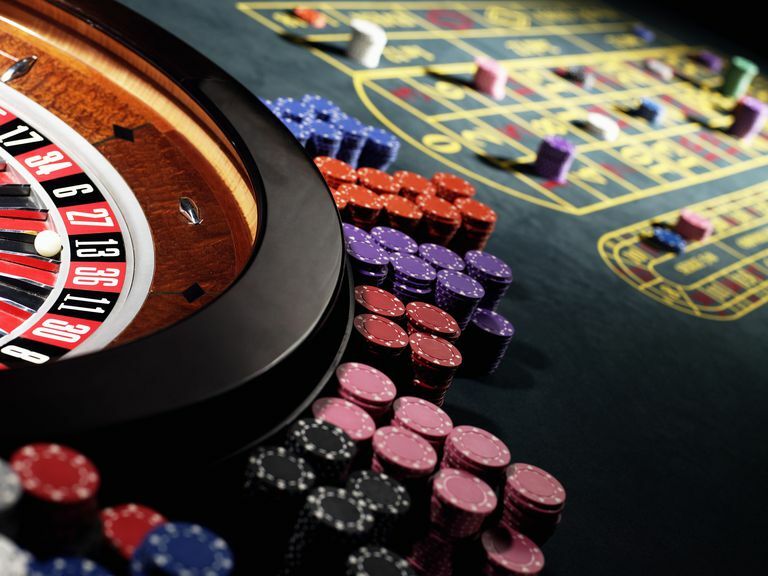 Regardless of what type of casino gambling is offered, the most important term for any gaming operator is the handle. The handle is the total amount of money bet. At a game like craps, all of the bets made on a table contribute to the handle, whether the bets win or lose, are made with cash or chips and are paid even money for bets like the pass line or 30-1 for bets like two and 12. Players often confuse the handle (total bets) with the drop. For a casino, the drop is the money (or credit) exchanged for chips. At a game like blackjack, the total drop is what is found in the metal drop box attached to the table that all bills and markers (credit slips) are dropped in to. On occasion, the term handle is used interchangeably with the term drop. The statistical advantage that the casino has in each game, and each bet, is called the house edge. This theoretical advantage the casino holds over the player on any single bet is what makes the game gambling, for the outcome is unknown, and regardless of who holds the edge, either party may win at any one time. For the bottom line, the casino win is the net dollars retained by the casino after all bets are paid. This can be a negative amount - any time the players win more than the casino holds. The hold percentage is the relationship of the casino win to the drop. If a slot machine has $100 inserted into it during a day and pays out $80, the casino win is $20. However, the hold percentage is based on total bets. If it is a $1 per spin machine and the machine recorded 1000 spins, then $1000 was wagered. Winning a total of $20 means the hold percentage is just $20/$1000 or 2/100 which is 2-percent. The hold percentage is better explained on a roulette table with a zero and double zero - the typical American wheel. On this game, the casino has a house edge of 5.26 percent. However, at the end of a shift, the game is likely to win close to 20 percent of the drop. For every $100 in the drop box, the house will likely have a hold percentage of 20 percent. This is because a player is likely to make many bets, over and over, each time against a house edge of 5.26 percent. They win some, they lose some and eventually lose what they were willing to risk on this particular table. The most important influence on casino handle is what is referred to as "time on device." Regardless of what is bet, if there are no players, there is no handle and no profit. Casinos maximize their income when they find ways to increase not just their house edge, but the average bet and the amount of time each gaming device (table spot or slot machine) is in action. As a business model, the overall handle is a product of capacity of use, game speed, and average bet. This is why all players club comps are based on your average bet and the hours played, not on how much you win or lose! A casino with 1000 slot machines is only successful if they are in constant use. However, the utilization of game space and betting minimums at table games can be deceiving. This is why it is rare to see a blackjack game with a low $2 or $5 minimum, even if players are wandering around wanting to play that amount while there are several $25 tables with no players. This phenomenon is best explained by the math produced for expected win per hour at a blackjack table. With six players betting $2 per hand, a dealer can get out 375 hands to the players. The total wagers (excluding double downs and splits) will equal $750 and the house expects to win 2 percent, or $15. However, just a single player at a $25 table will produce $4125 in bets per hour where the house expects to win 2 percent and a total of $82. Obviously, the $25 game will be dead at times, but that single player easily makes up the difference, and if all the tables have low limits and there are no seats available for the big better then the house is losing out. So, some decisions at your local casino are made for player comfort to extend the amount of time played, and some decisions are made simply based on casino income, as with any business. The above example also probably illustrates pretty well why a $5 blackjack player can only expect to earn about 30-cents per hour in comp value from their play. The casino expects the player to get 60 hands per hour, so their total bets per hour ​equal $120. Using the same 2 percent house edge, the casino will retain about $2.40 from their play. Giving back 30-cents equals a comp value of 12.5 percent, which is pretty good. Most casinos hold the line between 10 and 15 percent.